Hello and welcome to my second post today. I wanted to take a few minutes and share the card that we made two weeks ago during my Facebook Live on Wednesday, January 30, 2019. This was a little different than my usual Facebook Live. During this Episode I gave everyone choices and they picked what they wanted to see created. We had so much fun but it did cause for a much longer video then normal but that was totally okay. Everyone had a great time and loved what the end product looked like. 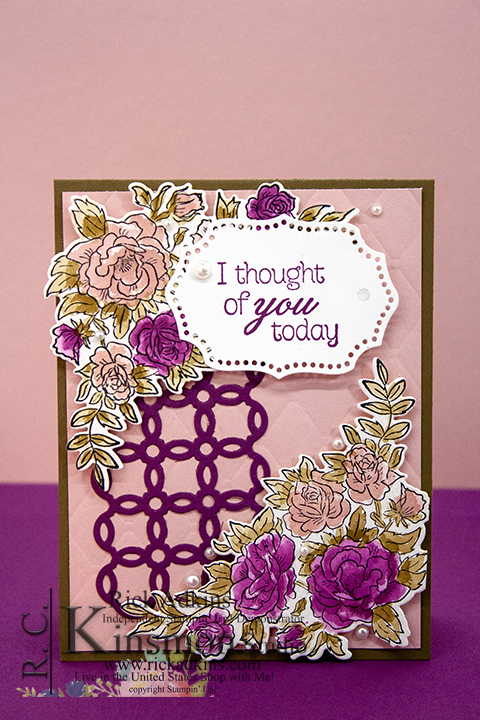 Here is a look at the card that we created. Below you will find the full Facebook live replay of the today's card. Just remember that it is a much longer video then normal. I think we ended up with a little over an hour while we picked what to use along with the creative process. You can totally change the speed on YouTube and speed up the video. We started out by choosing which bundle from the 2019 Occasions Catalog to use. 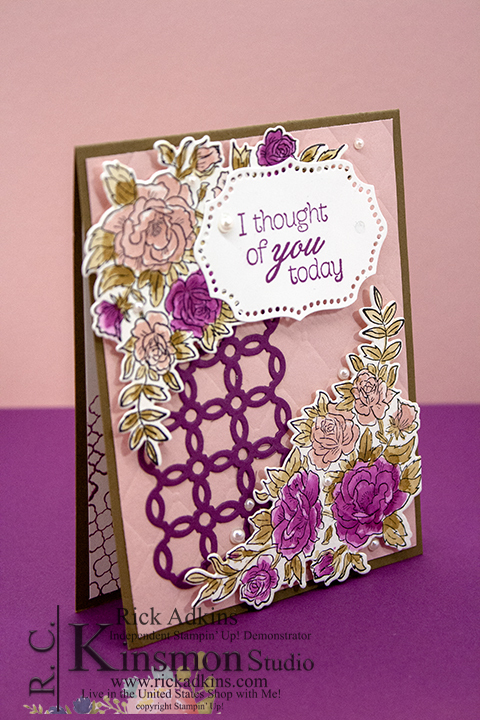 Then I let them pick from the cardstock color combo to use. There choices were Rich Razzleberry, Blushing Bride, and Soft Suede or Old Olive, Daffodil Delight, or Flirty Flamingo Cardstocks. More people picked the Rich Razzleberry, Blushing bride soft suede combo. 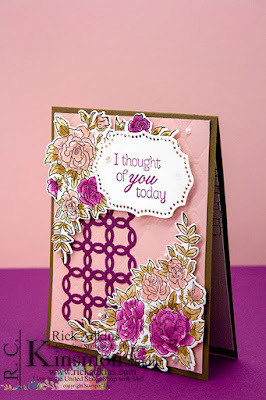 So these were the inks we used as well then they picked to do watercolors over stampin' blends. 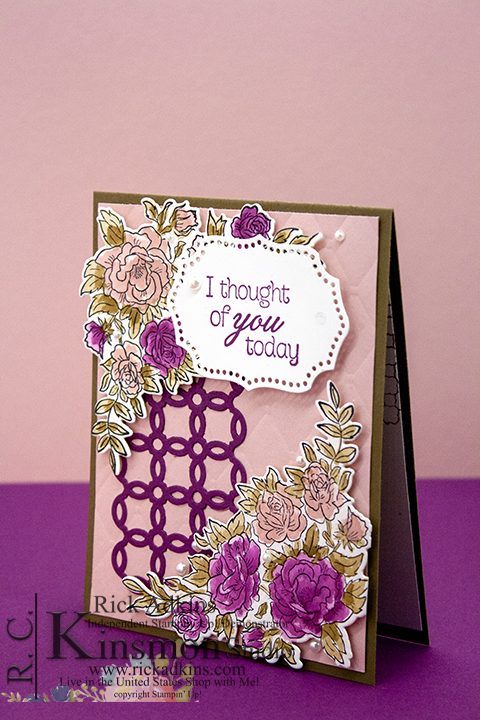 I had a great time working with everyone during this Facebook live to create this card. I go live every Wednesday night at 8 pm CST on my Facebook Page. So you can join me tonight for a new episode where we will be making a cute project from start to finish. Below you will find a list of all the supplies that we used during this episode. You can order the items listed in my online store 24/7 by clicking on the image below or by clicking on the shop tab above. 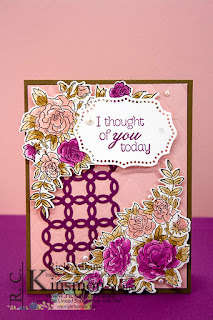 Happy Stampin' and see you tonight for this weeks Live. Labels: stampin' up!, crafts, cardmaking 2019 Stampin' Up! Occasions Catalog, climbing roses bundle, Climbing Roses stamp set, rick Adkins, Roses, Stampin' Up!